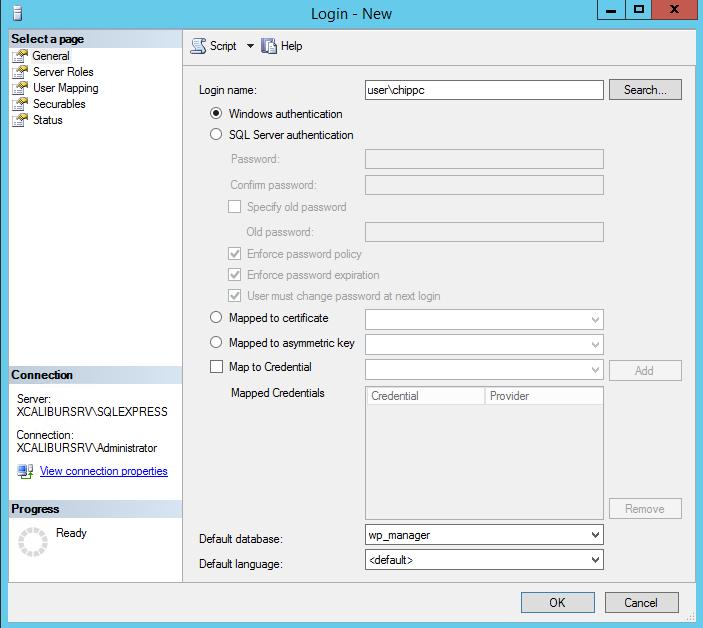 Ensure MS SQL Server allows connections with Windows Authentication! 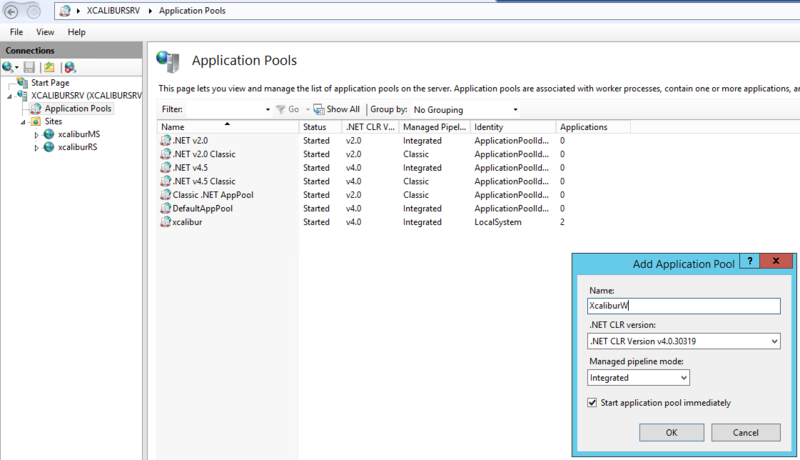 In the Application Pools section, add the pool XcaliburW, framework 4.0, Mode “Integrated”, checkbox ticked. 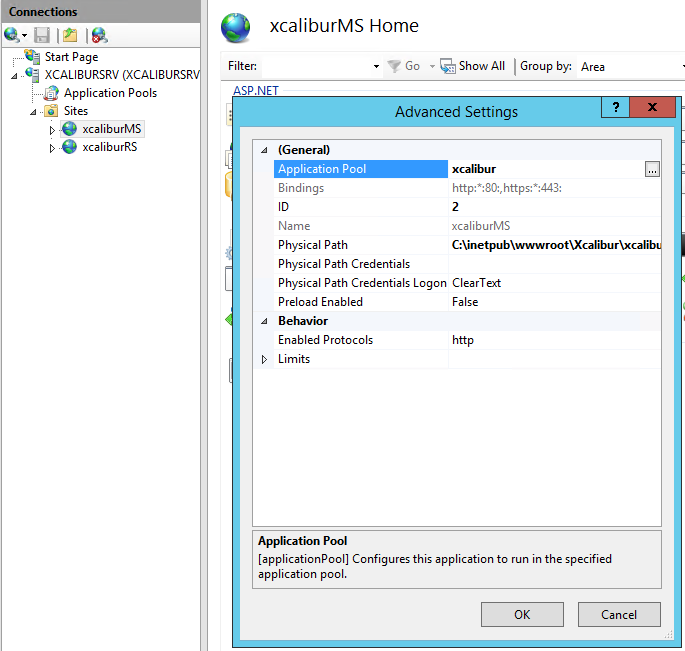 On the new XcaliburW pool, go to Advanced Settings and change the Identity value by adding the AD account. Select the Default Web Site from the tree on the left. 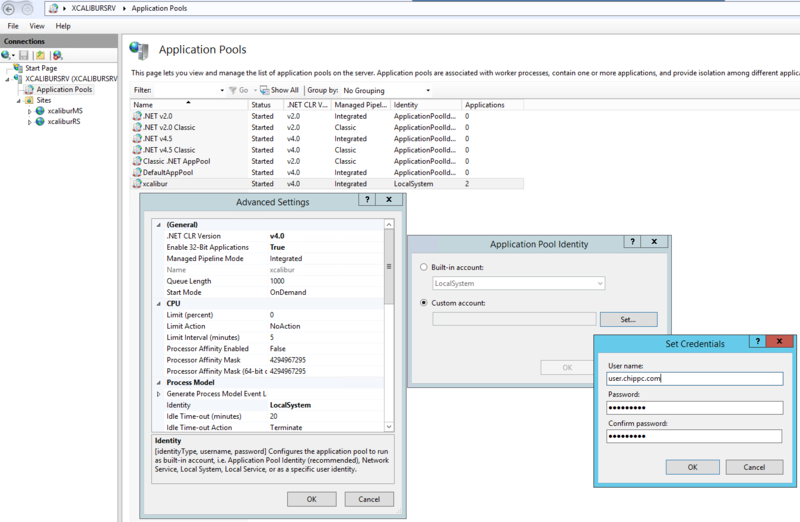 Set the parameter Enable 32-Bit Applications to true and change the Application Pool to XcaliburW. 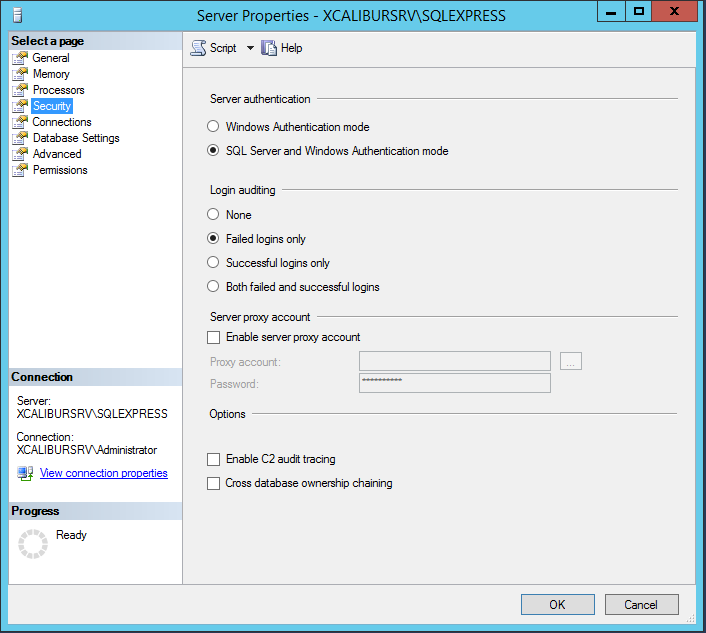 Verify the SQL server properties. 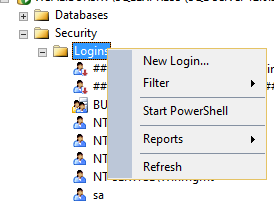 In the Login name field, add the AD account. 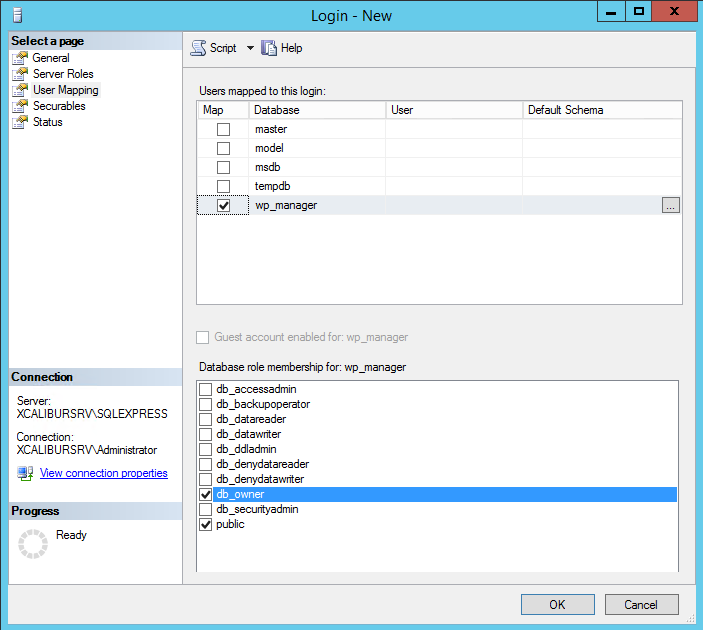 In the User Mapping tab, tick the “wp_manager” checkbox and add the “db_owner” rights.